Dr. Scott Stewart of Lakewood, Colorado offers many restorative solutions for his patients. New and current patients can come to his practice to seek advice on how to repair their smiles, especially after tooth loss. Restorative dentistry allows patients to improve function and aesthetics of their smile in an affordable and effective manner. However, some patients who have dentures may find them to be ill fitting and want to find a better way to achieve denture retention. In situations such as this, Dr. Scott Stewart of South Lakewood Dental may suggest placing dental implants. Dental implants are commonly used to replace a single tooth, or to help hold dental bridges. However, they can also be placed for denture retention. By placing dental implants, patients can then retrofit their denture to place over the implants. They can snap onto the implants, which gives them the strength and durability needed to keep them from shifting on the gum tissue and causing irritation, while also giving them the stability necessary to enjoy favorite foods such as apples. The team of South Lakewood Dental can determine if a patient is an appropriate candidate for dental implants by completing a physical evaluation and having x-rays done to check the bone structure underneath the ridge of the gums. This ensures a successful placement as bone is necessary to hold the implants in place. Without enough bone, patients may need to discuss the possibility of bone grafting to help build up the bone and prepare the smile successfully for dental implants. Our practice offers many different types of implants including traditional titanium implants, zirconium implants, and even mini dental implants. 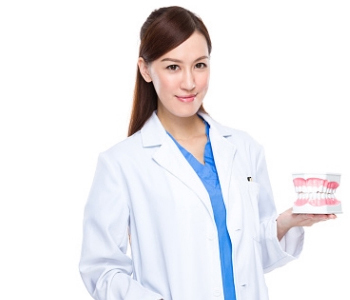 Dr. Scott Stewart can perform a consultation and examination to find out which one is best for patients and help them in achieving a fully functional smile even with traditional dentures. Contact South Lakewood Dental today to book an appointment. We welcome new patients into our holistic dental facility to learn about the advantages of treatment with an experienced, dedicated team of professionals.